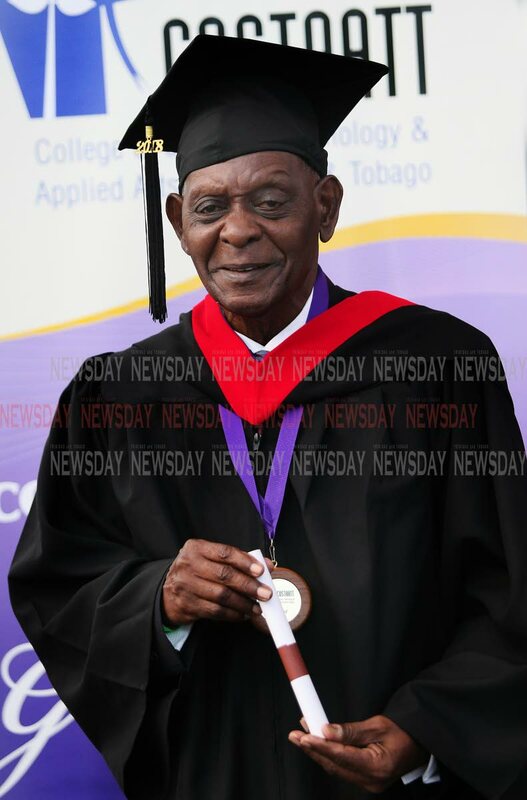 QUOTING calypsonian Mighty Sparrow's lyrics, "Age is Just a Number," Curtis Thomas, 84, of Dow Village in South Oropouche on Sunday collected his Bachelor of Arts degree in Mass Communication from COSTAATT's Ken Gordon School of Journalism and Mass Communication. 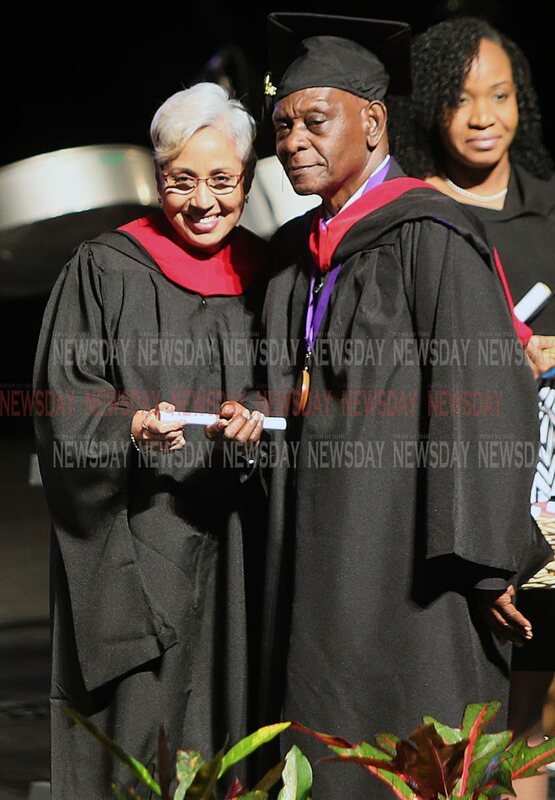 "I feel great, having achieved one of my milestones," Thomas told reporters at the graduation ceremony at the National Academy of the Performing Arts in Port of Spain. "I'm a positive thinker. Age is just a number. I don't see it as a stumbling block, once you have good health. I look forward to what is possible." "I pray quite a lot." Thomas said it is important to eat a balanced diet, adding that up to five years ago he used to regularly exercise, having once done athletics at a national level. "I never drank," he added. He said his relationship with COSTAATT staff and students had been "very good." "The lecturers appreciated my company, and the students." "Three weeks before the final exam it (appendix) burst and I had to be rushed to hospital for an immediate operation." He had once also picked up a diploma in marketing and a certificate in Human Resource Management. Thomas said he had once worked as a government clerk in London and in a British factory. Reply to "Curtis,84, graduates with Mass Comm degree"